Our chairs are designed to make sure you won’t have to sit still. They are designed with people and their needs in focus and inspire them to be at their best throughout the working day. To put it simply, our seating solutions contribute to the well-being of people – and of businesses. HÅG’s ergonomic philosophy is based on an understanding of the human body and its need to be in motion. That’s why the core of our chairs is the unique BalancedMovementMechanism™ that keeps you in balanced motion and encourages you to move your whole body without even thinking about it. As balance is the best starting point for movement, our chairs have a centrally placed tilting point to keep you in balance and continuous motion. 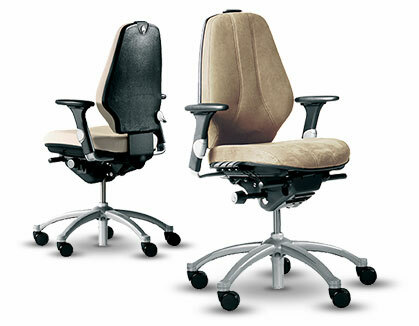 The seat and backrest are linked together, which means that the seat front rises when you lean backwards, stimulating movement in the ankles, and lowers when you lean forward to work. These micromovements keep you alert and animated all day long. This unique feature is something we call FootControlledMovement ™. 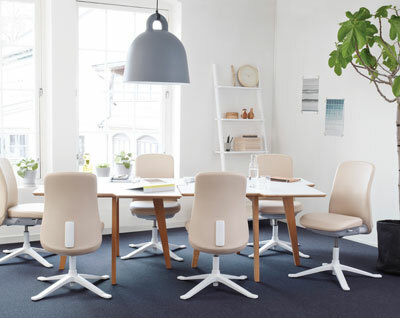 Our unique seating mechanism keeps the person sitting on a HÅG chair actively balancing and not just in suspended balance. The chair follows the movement of your body whenever you move forwards and backwards and this, in turn, stimulates micro movements in your feet. This activates the circulation systems in your lower legs – the peripheral heart in the calf muscles – increasing your blood circulation like no other task chair does. It keeps you feeling energized, fills you with well-being and lets you concentrate on your work. The human body is a miracle and with the right tools, it can achieve wonderful things. All our chairs take into account the human body’s need to move and maintain an upright posture so that you breathe better. Our chairs are tools, crafted to keep you feeling at your best. In other words, they encourage active sitting and increase performance at work. Our ergonomic philosophy is inspired by the human body – and based on the importance of movement, support and maintaining correct posture. An upright posture opens up the body, improves breathing and increases blood circulation while movements stimulate the muscles. This combination increases the flow of oxygen in your body, sharpening your focus and increasing your performance. This philosophy is embodied in our 2PP or the Two-Point Principle. Each chair has two unique points placed near the pivotal points on the body – the hips and knees. The chair follows your natural movements and your feet always remain on the floor. Our lumbar support gives you constant support to help you feel and work better. Quite simply, our chairs are the right tools for the task. 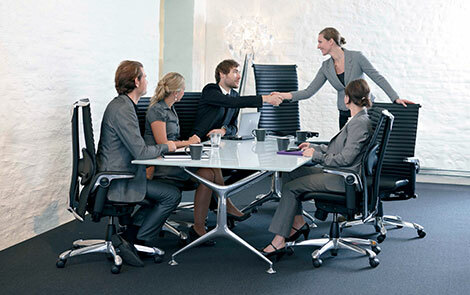 The ergonomic philosophy of RBM centers around the canteen and conference segment – that is, chairs and tables. Having good ergonomics is one of our differentiating factors and it is not something we compromise on. RBM products are comfortable to sit in, give support and a sense of well-being and help the people who use the furniture in canteen and conference settings remain attentive. The shapes and contact surfaces are supportive and comfortable and suit most people who use our products. Our furniture delivers the best comfort in its segment. The flexibility of our products can be found in the flexibility of the materials we use – e.g. in the backrest that lets you lean backwards. Our smart solutions mean that the furniture is easy to stack, handle and clean.